In the peace talks between the Colombian government and the FARC, the guerrilla negotiators have requested the release of FARC leader Simon Trinidad – nom de guerre of Ricardo Palmera – who is imprisoned in the United States. Publicly available information gives no hint that the Colombian government has officially asked Washington to consider the question, but – since the release of FARC members in prison in Colombia is not off the table – Washington should be prepared to consider the possibility. 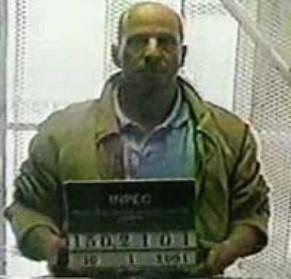 Simon Trinidad was captured in Quito, Ecuador, in January 2004, extradited to the United States and put on trial for conspiracy to engage in drug trafficking and to hold hostages. Each of four trials for drug trafficking ended in a hung jury, and eventually those charges were dropped. In 2007, however, he was convicted for an alleged role in conspiring to kidnap three U.S. contractors taken hostage after their counterdrug surveillance plane crashed in 2003. Trinidad is serving a 60-year-sentence in Colorado at the United States’ only federal “supermax” prison, with no prospect of parole. The U.S. State Department has publicly stated that President Obama will not grant Trinidad parole, as the FARC requested, to participate in the negotiations. But the question of his release if the Colombian government requests it within a peace settlement remains pending. If such a request arises, the U.S. government’s lawyers will certainly report that the protocol (II) additional to the Geneva Conventions states that “at the end of hostilities, the authorities in power shall endeavor to grant the broadest possible amnesty to persons who have participated in the armed conflict, or those deprived of their liberty for reasons related to the armed conflict, whether they are interned or detained.” The words “shall endeavor” obviously do not imply obligation, but by establishing that states should release members, they create a political dynamic that could drive a decision giving a useful push to resolving Colombia’s six-decade conflict. Interesting comment about Protocol II. Do you know if the United States actually considers the FARC to be a belligerent force engaged in hostilities against the U.S.? I tend to imagine that it does not. Simon Trinidad is not imprisoned as a Prisoner of War under the Geneva Conventions, but is rather imprisoned as a criminal who just happens to be a member of the FARC, which I imagine the U.S. thinks of as more of a group of bandits than actual armed forces. I could be wrong about this, but I write with the memory of the strongly-negative reaction that was heard in the U.S. when Hugo Chavez referred to the FARC and ELN as “verdadero ejercitos que ocupan espacio en Colombia,” seemingly recognizing the two groups as belligerents. It would seem to me, as a total novice and non-expert, that unless the U.S. recognized the FARC as a belligerent in hostilities against the U.S., and unless the negotiated settlement with Colombia brought about an end to the hostilities with the U.S. as well, then the U.S. government’s lawyers would be likely to argue that Protocol II does not apply. Even if Protocol II did apply, I would think that the U.S. would argue that Simon Trinidad is truly a criminal (perhaps they’d use the phrase “war criminal”) more than a regular solider engaged in hostilities, and thus can remained imprisoned. Finally, it’s worth noting that the United States has not ratified Protocol II and is unlikely in the extreme to do so any time soon, so this is all an very theoretical point. Nevertheless, I’d be interested in reading more about your thoughts on whether Protocol II applies and, perhaps more realistically, whether President Obama would be open to pardoning and releasing Simon Trinidad or doing something more politically palatable (such as transferring him to a Colombian prison where the Colombians could then release him), even if it’s determined that there’s no Geneva Convention reason to do so, just as a way to help facilitate the peace process. Or, do you think Obama would be more likely to tell both the FARC and the Colombians that Simon Trinidad’s status is completely off the negotiating table and if his imprisonment in the U.S. derails the peace process, then so be it? Thanks a lot for your comment. It’s really accurate. To answer to your question: yes, the US considers the FARC a terrorist organization. And you’re also completely right when you say that Trinidad is not a prisoner of war (POW) – he can’t really be one, as there is no POW status in a non-international armed conflict. The point is more that it is possible that Colombia (in case of a peace agreement) would agree to release FARC members in prison in the country. Colombia has agreed to complete or partial amnesty in the past (with M19 and AUC) and also accepted to “exchange” prisoners with the FARC in several opportunities. Regarding Protocol II, it is important to note that Colombia recognized the existence of the armed conflict (see for instance la ley de victimas), and Colombia has ratified Protocol II and has included references on the primacy of international humanitarian law in its constitution (article 214). Thus, Protocol II applies to Colombia. Although the US hasn’t ratified Protocol II, almost every rule of the Geneva Conventions is now considered as “customary international law” (see ICRC http://www.icrc.org/customary-ihl/eng/docs/home)–the US is supposed to apply customary international law. Finally, the US has no legal obligation to release Trinidad, even in case of a peace agreement between the FARC and the Colombian government. The question, in the end, is political. FARC may include Trinidad liberation in a possible agreement. I don’t believe the US would even consider the question before a serious peace agreement. But if an agreement were to be reached, and Trinidad were part of it, how could the US ignore a request from its “best” ally in the region?